Through photosynthesis, certain plants convert the carbon dioxide we exhale into fresh oxygen, and they can also remove toxins from the air we breathe. 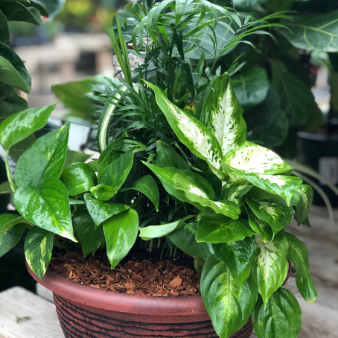 Discover which plants best purify the air and take home a planter filled with your choice of four 4" plants to spruce up the air quality in your home or office space! Workshop takes place Saturday, February 23, from 10 to 11 am. Price: $30, includes planter and four 4" plants. Register HERE. Price: $30, includes planter and four 4" plants.